It doesn’t fit anymore, but I still have it. It is faded a bit and my kids have tried it on. All the pins are still in place. It has been almost 35 years since I’ve worn it. That jacket, in that box in our basement, has more memories and more learning than all of my other high school classes combined. 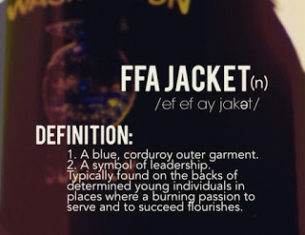 This is National FFA week. I’ve taken the time this week to reflect on what FFA has meant to our industry, to my career and to Beck Ag. The Future Farmers of America; thirty-five years ago we didn’t just use the acronym. We were all involved in FFA because we dreamed of being farmers. Back then, we didn’t really understand the scale of the industry that all comes together to support the production of our world’s food and fiber. I’m proud to have worn the jacket, and to work in an organization where there are many more jackets in boxes, possibly a few that have been taken out this week and tried on. 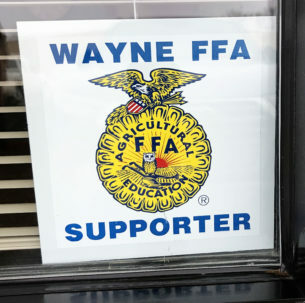 I’m also thrilled that here in northeast Nebraska, where Beck Ag has a small office that some of our team works out of, we have a new FFA chapter at our local high school. After years of preparation and prayers, the Ag Ed program is thriving in its first year. I’m grateful that another generation of local kids will someday pull their dusty jackets out and smile at the memories and lessons it taught. Because as I’ve learned, you might outgrow the jacket, but you never outgrow the experience. Subscribe to be notified of new posts via email. ©2019 BeckAg. All Rights Reserved. Website design and development by Oxide Design Co.